Posted on January 18, 2013, in Example, Lighting, maya, Optimization and tagged Builtin IBL, environment light, HDR, IBL, mental ray, Native IBL. Bookmark the permalink. 75 Comments. thanks a lot for that! very intersting! Is specular actually required these days? And can I actually consider IBL as a area light in terms of reflections? The car paint phenomenon has a specular effect that is built in. The only way to avoid it is to turn the weights to zero. But a specular highlight (direct reflection) can still be useful in some circumstances. A careful blending may look better when using different lights where some may be hidden or very small. This is part of multiple importance sampling. This is great, it clarifies a lot of “foggy” concepts in my brain and answers most of the questions I had in my last post. Thanks again David! I LOVE this technique! why are the reflections in the pot wavy? also, what is the correct workflow for extracting depthRemapped pass while using ibl+fg and unified sampling? are those “hotpixels” going to dissapear over time or is there something wrong with the settings? What version of Maya? Those hot pixels look like a filtering problem. Do not use Mitchell, use Gaussian 2.0 2.0 for almost everything. Depth Remapped should work exactly the same as it has always worked. The IBL and Unified don’t change that. We don’t use Satellite rendering, you can try in the latest service pack of Maya 2013 and that should have the fix. If not, then it should be reported to Autodesk. does filtering matter at all in progressive and unified? depthPass is grainy when using ibl/unified, so i use to override render settings just for that pass. kinda hoped there is faster straightforward approach. There was a filtering bug in 2012 that affected both beauty buffers as well as data like z-depth (separate bugs but both involved filtering) That’s part of why our UI is designed for 2013 instead. Progressive only uses the Gaussian filter. Gaussian 2 2 is recommended for 99% of rendering. If you are using the mia_material_x_passes, there is a bug with the environment light. With the ordinary “emit light” option -not using the script I mean- I was able to get much more controlled shadows as far as direction and intensity is concerned! Although your script is spectacular as far as setup is consernced, could this issue be addressed somehow as well ? The Environment Light is meant to replicate the captured set lighting from an HDRI. The ’emit light’ option uses and older algorithm that is less precise and typically slower than the Builtin IBL. ‘Emit light’ also exposes a lot of controls where you can just use “Quality” for the Builtin IBL. So we would actually recommend this instead. 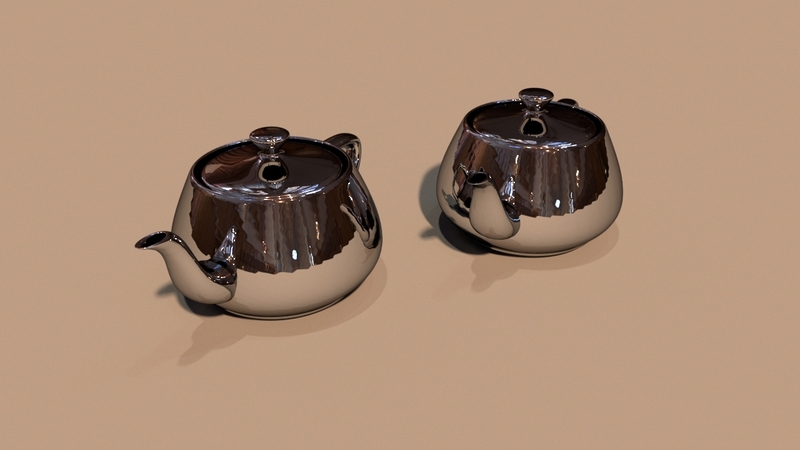 Are you talking about the ‘vary focus’ parameter to alter your lighting shadows? You can still alter the rotation/location of the IBL node in the perspective windows. Ok I think I know what you mean. The ’emit light’ option nearly always generates a hard shadow. Even if I use an HDRI that shouldn’t generate one I still get a sharp/hard shadow. It’s also very slow and the shading quality is suspect. And the lighting loses a lot of its saturation contained in the HDRI. I would use the Environment Light option from the UI (Builtin IBL) so you’re lighting is much more accurate. Give this a try. I always get very soft shadows with your script. By which option may one define its hardness instead ? I couldn’t find any “vary focus” option you mentioned in your previous post. The strength of the shadow is based on the dynamic range of the HDRI. I mention this in the post itself. This means the shadows with the builtin IBL are automatically hard or soft based on the measured data. You can see on the chrome teapots that I have a hard shadow there. 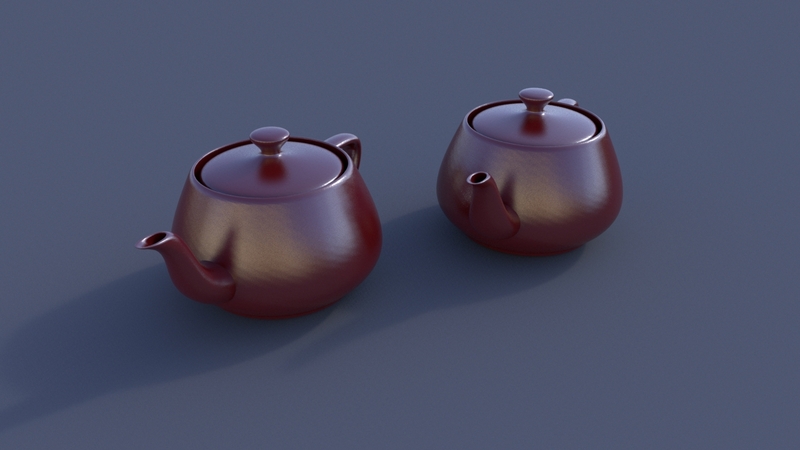 With the ’emit light’ option I still get hard shadows even when my data (HDRI) should not have that hard shadow. Like a soft light box shouldn’t have a harsh shadow. 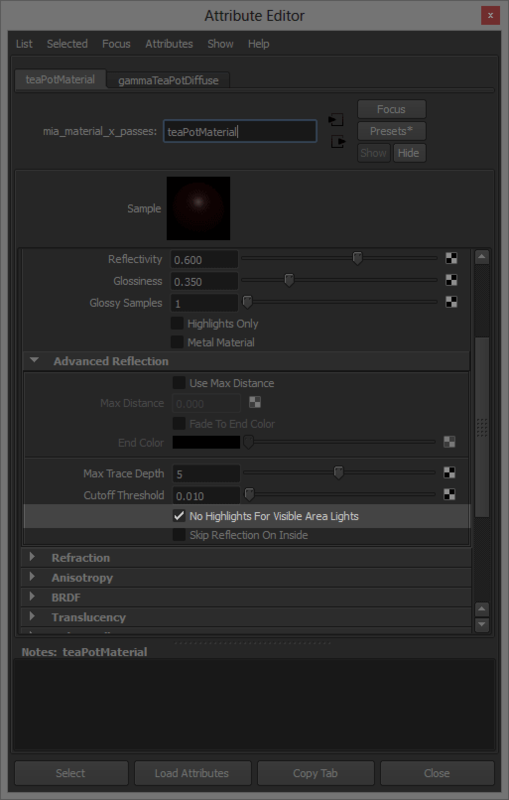 The “vary focus” is part of the ’emit light’ options. I wish that as included/ integrated correctly from you in the next version and HOPEFULLY was added the ability to select the same camera exposure trick, when the user selects image based lighing as well OR maybe a global function of such kind! We prefer you not render through a tone mapping lens shader. Instead, view through a LUT. Compositing when rendered through the lens shader is very difficult. Ι discrovered that using the script, to enable hard shadows as you’ve mentioned, the only way is to enable emit light in ibl! Though by doing so, one gets a new light emmision over the scene’s obects! What I mean, is that if your script isn’t used, and one tries to recreate the effect using the ordinary area light/ mental ray -> light shape etc, he will not only get hard shadows in the scene but also no extra light emission as the method with the IBL node “Emit Light” option does. 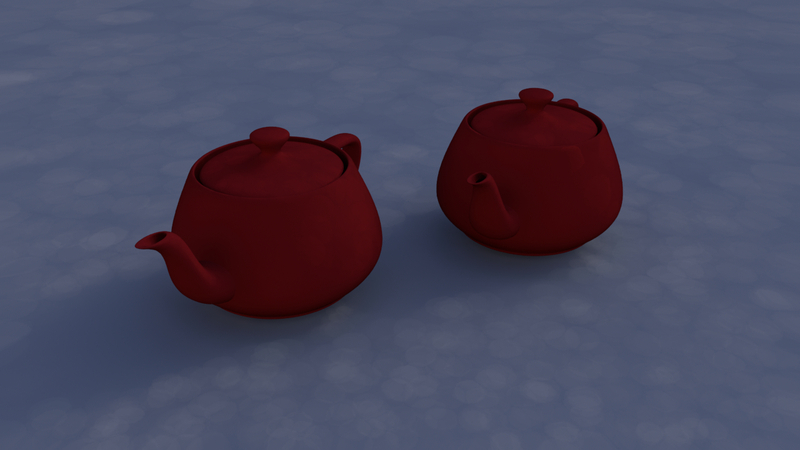 I tried to disable emit diffusion / specular individually, but still the rendering result wasn’t the same. Any idea, how could that provide similar renderings ? We’re recommending you not use the ’emit light’ option at all or any of those controls as shown above. 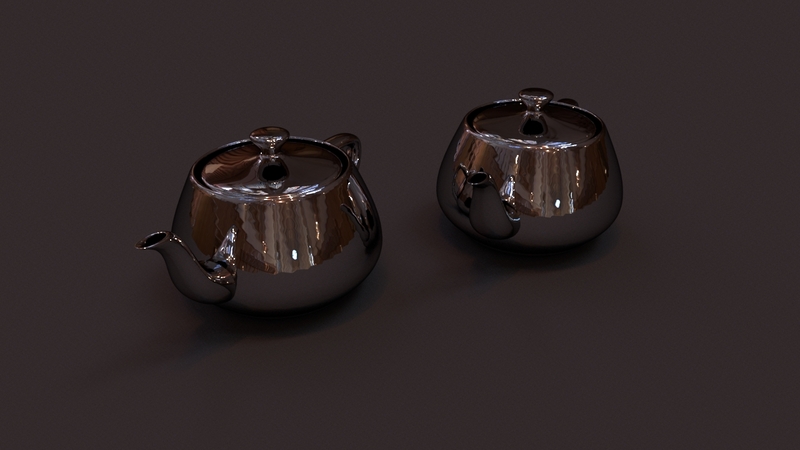 The Environment Light (builtin IBL) we have in the UI is more accurate lighting from the HDRI. You won’t easily be able to recreate one from the other. I really get the point to this, but still, hard shadows is something really needed in casesand it is quite difficult to demand it from the hdr image everytime. There are many cases where the light data in hdr are not sufficient to provide hard shadows. As such by using this method, which is REALLY nice and easy to setup I have to admit, though it is quite limited to soft shadows in most cases. The only way as fars as I tested is to enable emit ligh option, but still it provides other isssues like emitting new light in the scene which isn’t really wanted. I am afraid, that unless a trick or another workaround is found, the ordinary area light shape way, is a much more accurate option. What I’m trying to say is the area light “emit light” is already incorrect. You’re just used to it. 😉 The environment light is correct. If your shadows are soft, it’s because of insufficient range in your HDRI, not the environment light. If your chosen HDRI isn’t good enough range you can augment with practical area lights. We do that often for a sun scene. 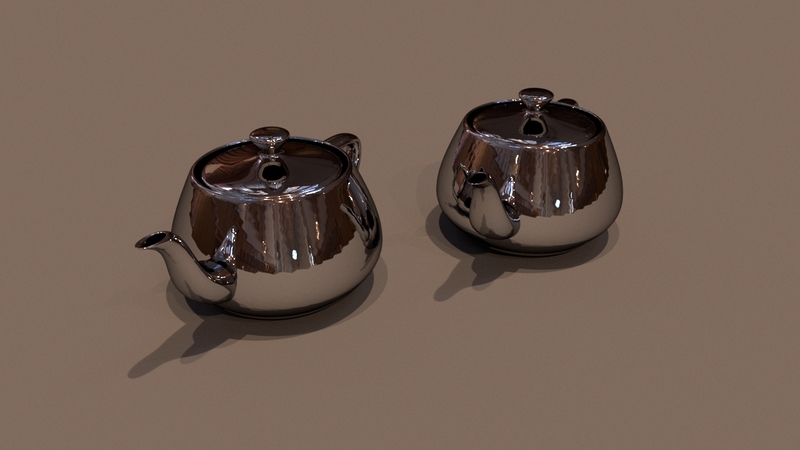 therefore when i use mentalRayTexture for loading HDR file its colour corrected (sRGB>linear sRGB). i suppose its wrong and i should disconnect the colourProfile node? Depends on how the HDRI was prepared. Floating point images are typically assumed to be linear. But not always true. 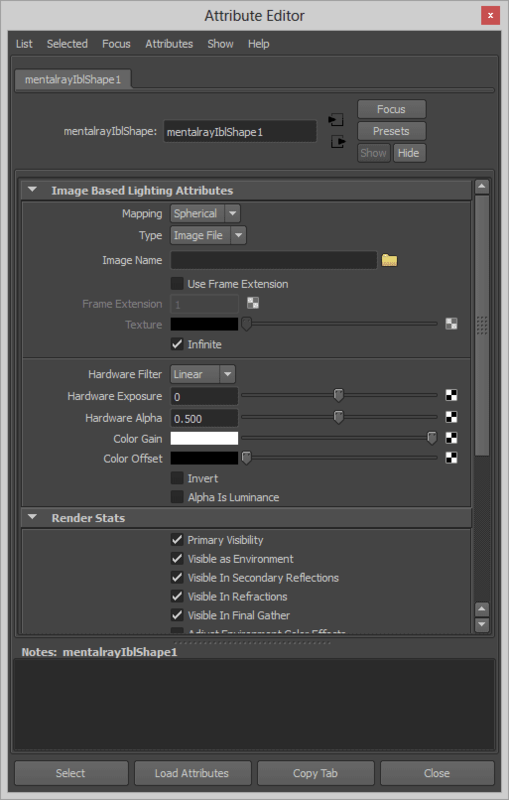 I can usually light with an HDRI without adjustment. david, you say: “I can usually light with an HDRI without adjustment.”. the difference in light strength between procedural mrSky and usual HDR is huge. when using mia_exposure_photographic i have to crank up “cr2 factor” way up (2k or even 10k) to get decent (close to real life) values in Film Iso, Shutter and F Number. We don’t render through an exposure node or use Sun and Sky. You’ll notice in our colorspace posts we mention viewing through a LUT, we don’t use lens shaders because it doesn’t work well in post. got it, no lens shader at all. Could you please point out a free hdr image that includes sufficient range data of light to test out hard shadows? All hdr images that I tried, are proved not to provide such ranges, hance I get always soft shadows!! I have to mention though that with the SAME hdr images, with the old emit light on area light option, i still get NICE hard shadows and dcenet colored images!! 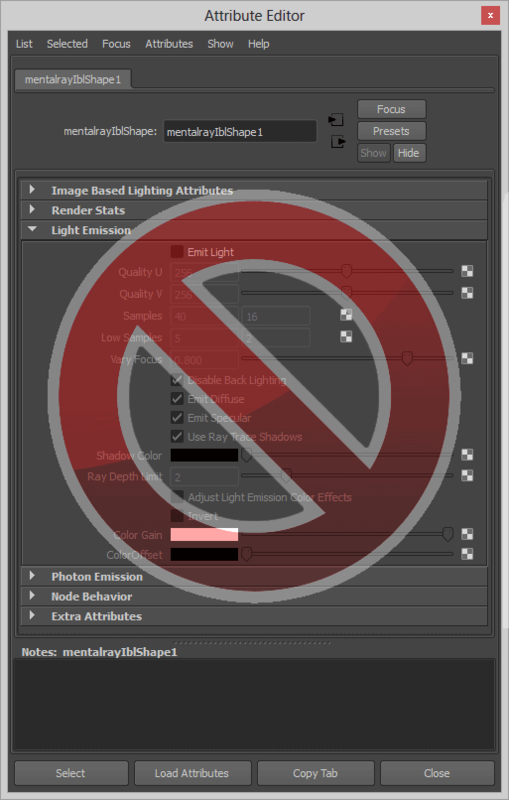 The “emit light” option also took 4 times longer to render and lost all the color information by default. This means much more time tuning a setting. I have a problem about the native ibl ( portal light have the same problem).I use renderpass to output the multipass,then i got the diffuse pass .The shadow area is not match the beauty pass. It is a very hard shadow,and the shadow range is wrong. I upload two images, If you have the time,take a look please. Are you viewing these in the same colorspace? Not had a chance to look yet. Yes,i sure . I upload the exr file . Think you David. I’m not using the FG for this shot. I trun on the “output Maya 2009 passes”.Problem solved. For this situation,I think the problem that the file created by old version maya ,then i use the new version maya to render. Actually no, it’s a weird quirk hopefully to be solved soon in Maya. Hi David I have a little question is this moment I try to make a scene with GI and FG bake for still objects and for animated object use environment light like brute force GI technique for V-Ray (ok, I prefer MentalRay I’m a big fan hehehe^^)but I don’t find one way to disconnect the still object to the environment light. If you’re using the Environment Light, then your lighting solution is stable. You should not need to separate your static and animated objects. You can typically get away with much less accuracy on the FG as well since the Environment Light is doing the bulk of the work. Using both, you should still be able to render in one phase without separating objects. Hum… I use a lot fgs_shooter but sometimes my animation have basic 2000 or more frames and complete different position and I find the FG sometimes still give me problems but sometimes it’s work good. but still a long process when I need bake many frames. but thanks for the reply. Thanks David for the great article! So I’m at a facility that is still using Maya 2012, and I’d like o use the newer techniques as of late. I guess the question is is it even possible to do knowing this version of maya has bugs pertaining to mental ray? If so, would it be possible to use the native ibl and unified sampling? Are there things I should watch out for? Thanks again for keeping MR relevant! The environment light should be fine. Unified Sampling in 3.9.1 suffered from some poor edges in initial release. This was quickly fixed in 3.9.2 but Autodesk never released that version for Maya 2012. 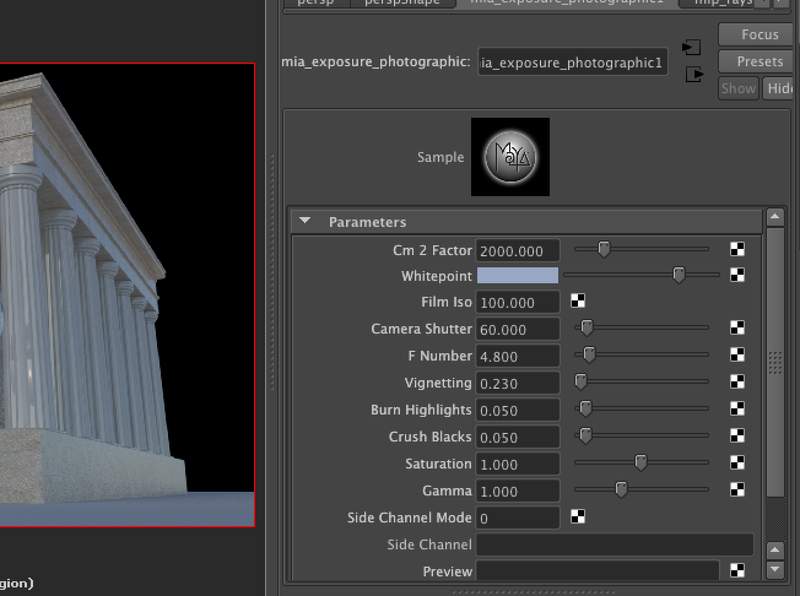 So far so good, and yes Im staying away from unified sampling on this version of Maya. Im hoping this could be the default method for now on (2014) with using IBL with unified sampling. Right now I feel like there are so many legacy options that it gets overwhelming messing with functions that might of worked for one method and now does not. I’m sticking with Unified Sampling and Native IBL approach as I get really fast results by default. Only real thing missing would be a real (Linear workflow approach without the gamma curves applied to each and every color slot) I know there are scripts, however would be nice to load the plugin and know it works with that method from the start. Anyways thanks for the useful information! I am rendering an indoor scene (warehouse) using environment lighting mode … my IBL is quite powerful and the shadows I get are fantastic … my problem is on some material some really hot spot appear on the “specular area ” when animated it fells like the a sort of glimmering effect … I can reduce it if i lower the exposure of the HDR but I lost the nice contrast between shadow / lit area … any idea how to go around it without changing the intensity of the HDR. Any help will be appreciated.B. We typically clamp HDRIs and use an area light as the sun/hottest source. Other renders have a clamp in the renderer itself for this effect and we still add an area light (or two: one diffuse and one specular) but I can typically get away with the above workflow in mental ray. Thanks David … I gave it a try … it works but I will have to spend more time on the lighting to achieve the same shadows I had before. I used an other method at the end … since the problem was in the reflection I used a mip_rayswitch for the IBL and used my HDRI just for the environment and used a dummy sphere with a clamp HDR for the reflection. Once again thanks for your quick reply.B. Thanks for the post. This method looks really nice and renders fast! One question though. 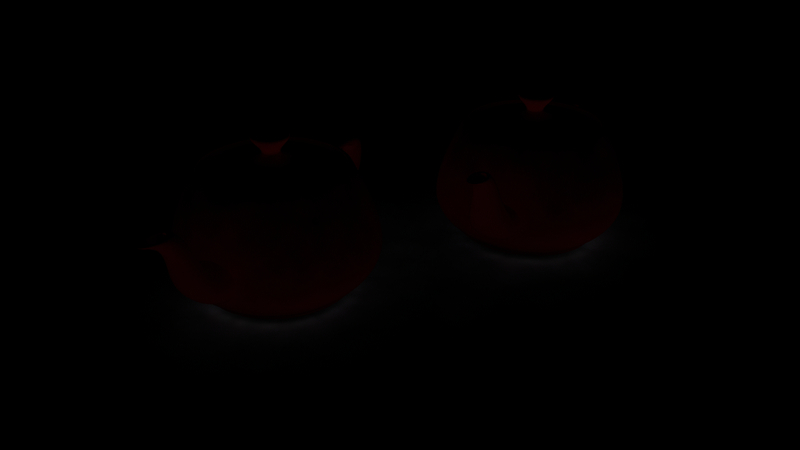 Is there anyway to get matteshadow to render the IBL shadows? The older “emit light” function does render shadows on matteshadow. But I’ve had zero luck getting native IBL shadows to show up. It works for me. Just tested it. Keep in mind that the Maya IBL ’emit light’ always generated hard shadows even when it is incorrect. The Environment Light might have a softer and more accurate shadow based on the energy of the light in your HDRI so it might be harder to see if it’s soft. I agree, the Environment Light looks much much better than “emit light.” I was able to get nice hard shadows by adjusting the HDRI in photoshop. The shadow has a nice range of color information which is missing in ’emit light’. For matteshadow to work do I need to somehow connect the Environment Light to the matteshadow background? Or should it work without any connections? Does it catch the environment light shadows on the shadow catch, AO, or indirect light? Right now I’m using the IBL as the only light source. The only thing that shows up on matteshadow is AO. Sorry for all the questions. If I can get this to work with matteshadow, this’ll be a great lighting solution. Change the shadow color to red instead of black. Allow multiple outputs and pipe result to the out color of a surface shader. Cool thanks. I did more testing and got it to work. I removed rayswitch_environment from matteshadow’s background and replaced it with alpha_color and then it worked perfectly. 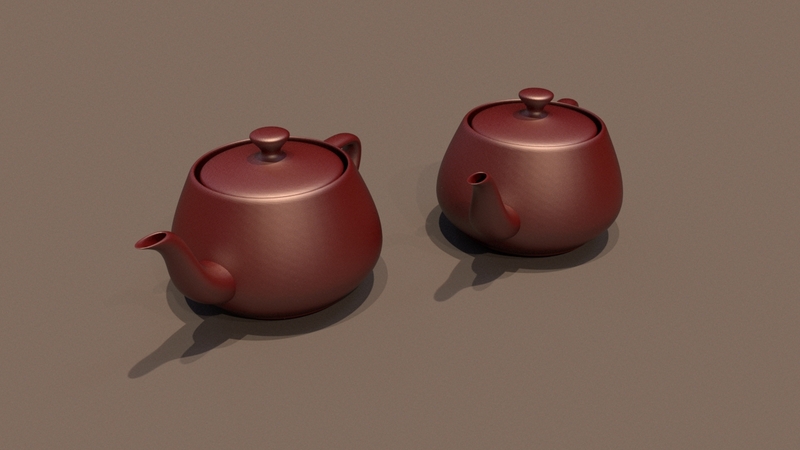 I was trying to route the environment from the IBL back into the background environment for the matteshadow. I think that created the problem. pano rather than mirror ball environments for matteshadow are another topic I guess. The vast majority of HDRI used in film appears to be latlong. Hi I’m trying this with the 2014 version of your UI script. It lights the scene when I turn it on, but the scale slider is not working when I want to increase of decrease the intensity. Make sure the String Options are set in the file correctly. Are you using batch or satellite? I do not believe this version is compatible with satellite rendering but would have to check. sorry here me again… im in a new office with maya 2014, and i havent mentalcore installed… so if your UI is not working in 2014 how in gods name do you enable the user_env_ibl???? please god help me…. thanks! Have you tried the one here? I´ve been using this method for a while now. Just with a latlong HDRI using the standard ibl nodes. I can´t seem to figure out how to do this. Scott was using Mari to project the textures. But you can use spherical projection in Maya to do similar but making it match well will be difficult. Keep in mind they were taking shots and modeling based on a point cloud of the set data. It’s helpful to take the data and HDRI from the same location. The MEL script in this post won’t work for Maya 2014 correct? Do you have a way to expose the Builtin IBL features and controls in 2014? Oh, I think I just found it. Quick question: I have my value on the scale up to 5,000,000 and it behaves as if it’s set to 1. 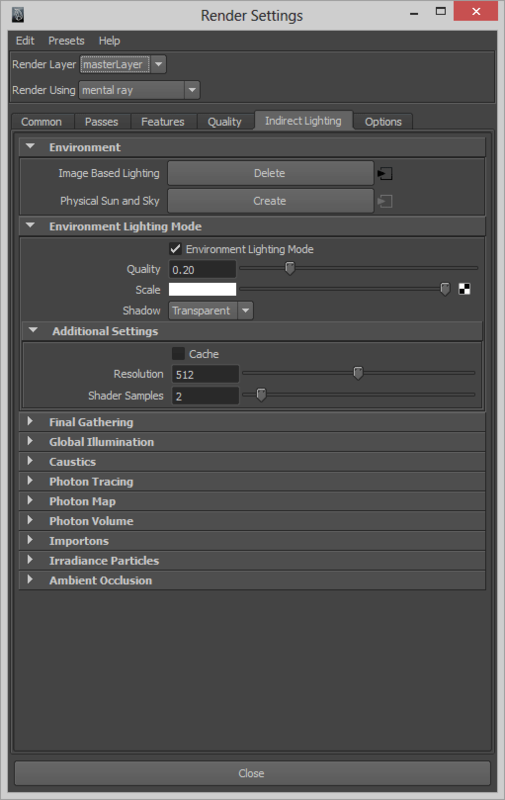 Do I need to adjust the color gain in the IBL or should it be controlled solely from the Environment Light controls? Thanks in advance! Environment light controls should increase the intensity of the light (not reflection) but there might be a bug there in the UI. Make sure it changes in the string options too.